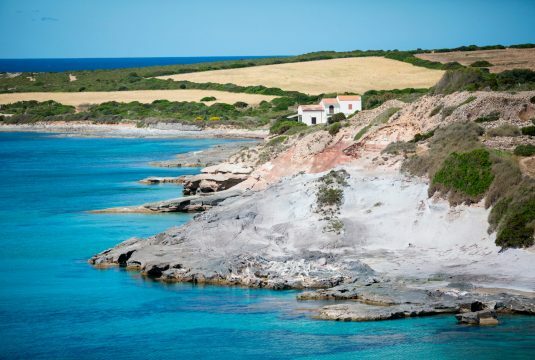 If you decide to circumnavigate the island clockwise, you set off from Carloforte, head South and then navigate along the Western coast to full circle the island. The first beach on your way is Giunco, less than 2 km from Carloforte. Its name originates from the name of the plant Giunco, reed, which abundantly grows in the proximity of the beach. 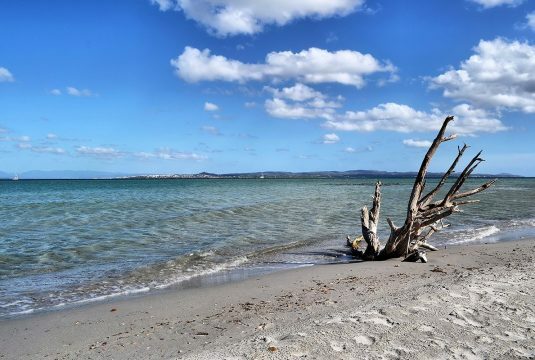 The beach is wide, and its water remains shallow for many kilometers from the coast. This beach is ideal for families and people with disabilities, since you can park your car a few steps from the beach. This is the only beach where pets are allowed, though there are no bars or public restrooms in the vicinity. Right after Giunco beach, Girin is located 4 km from downtown Carloforte. The beach, nicely framed by thick bushes and shrubs, has fine sand and turquoise water. 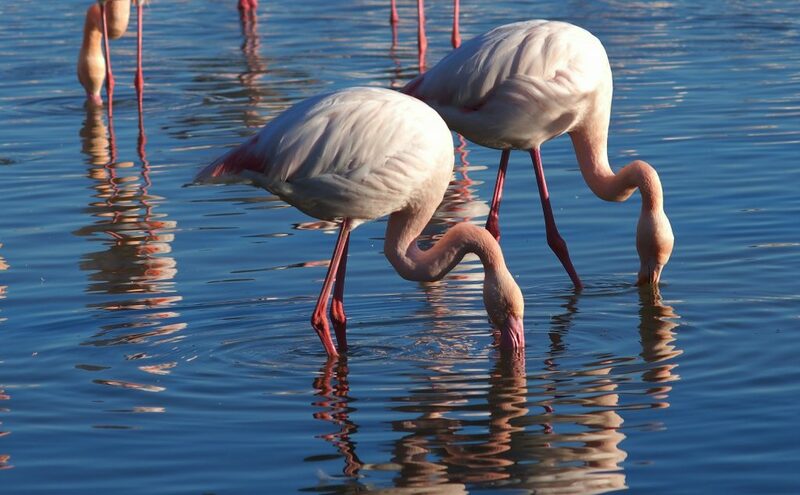 It is protected from the wind blowing from North-West, the Mistral, and is ideal for families. A bar and large parking lot are located few steps from the beach. Parking is free, though tipping is highly appreciated. Girin beach is followed by Punta Nera. The beach is split into two smaller strips of sand by an artificial dam made of rocks, which protects them from the Mistral wind. A bar can be found right on the beach; it rents chairs and beach umbrellas. 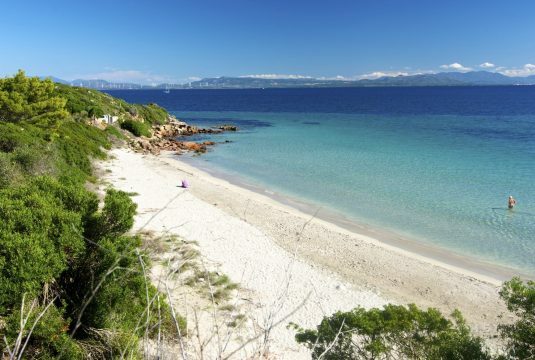 Ideal for families, the beach has a free parking area a few meters away. Guidi beach comes next. 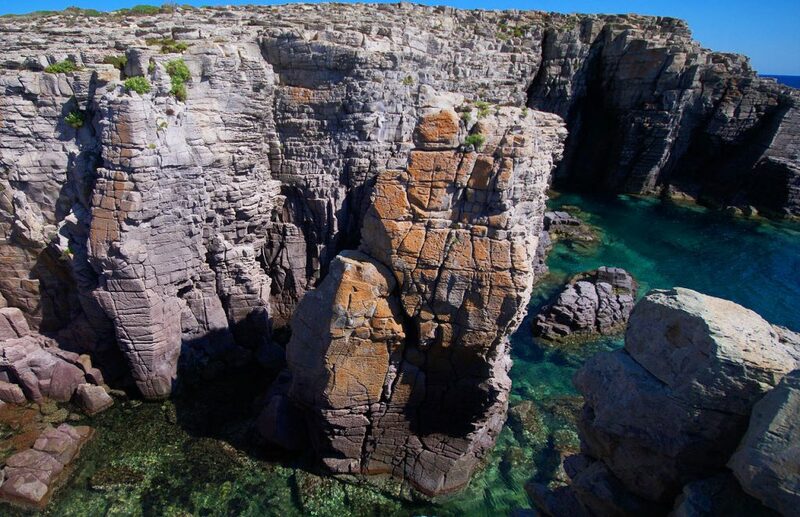 It is considered one of the most beautiful bays on the island. The sand is white and fine and the sea is crystal-clear. Both families and younger travellers can enjoy its beauty, and have a snack or a drink at the bar located right on the beach. Protected by the Mistral wind, a free parking facility is 50 meters from the beach. Bobba beach lives up to the high expectations set by the previous beach encountered on your way. The white sand and clear water are a draw for families and younger tourists. It has a bar and restaurant in the proximity and a secure car park. Chairs, beach umbrellas, kayaks and SUP boards can be rented at a service facility close to the beach. This beach is ideal for people with disabilities. Also called spiaggia di Lucchese (Lucaise beach), its located between the beaches of Bobba and Geniò. 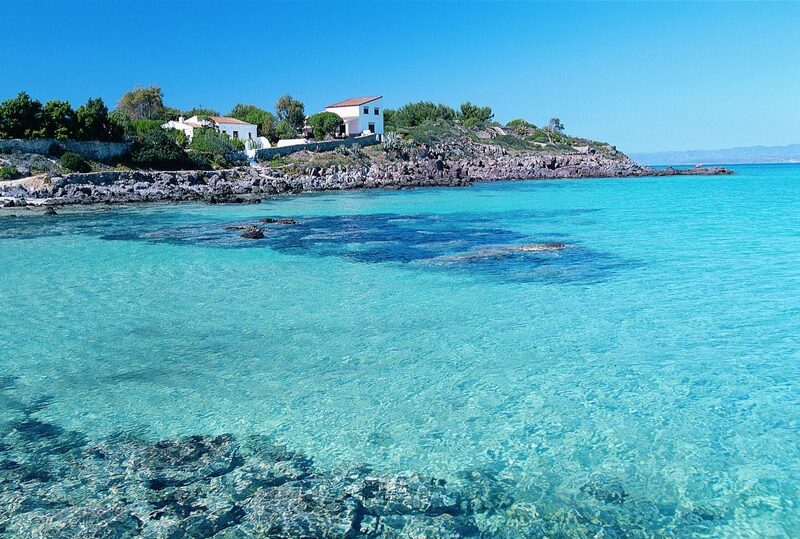 Characterized by rocks and gravel, it has transparent and shimmering waters of a turquoise color that will stand out in front of the small island of the Geniò and in front of le Colonne. Uncrowded even in high season it’s the ideal beach for those seeking privacy and relaxation. Because of difficult access due to a dirt path on a steep slope it is not suitable for children, the elderly and people with reduced mobility. 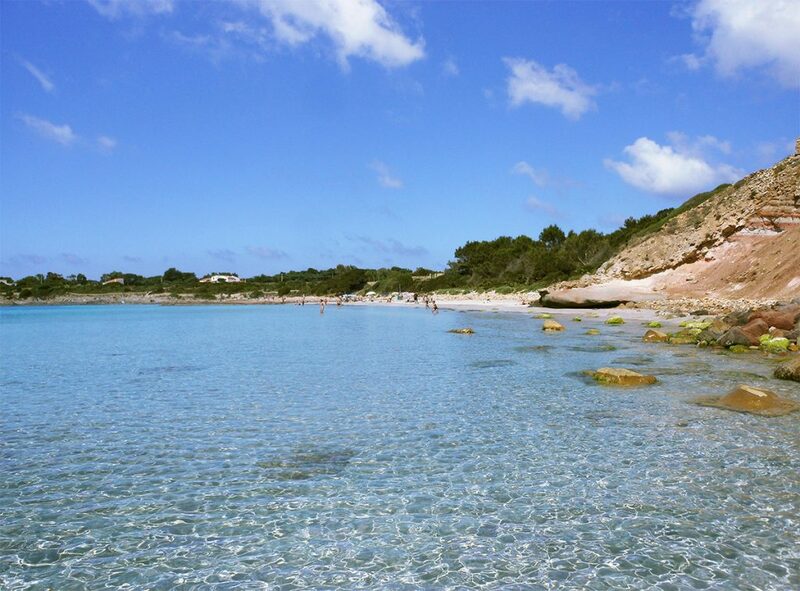 Close to Lucchese, there is the beach called Geniò; it is a small cove characterized by rocks and coarse sand, in which stands the homonymous rock, near Le Colonne. It is a beach suitable for children with shallow and safe waters. A bit beyond the shore the depths are stunning, suitable for underwater fishing and diving. These beaches doesn’t have a controlled parking and there are no dining options. There is no lifeguard rescue. Suited to all visitors. 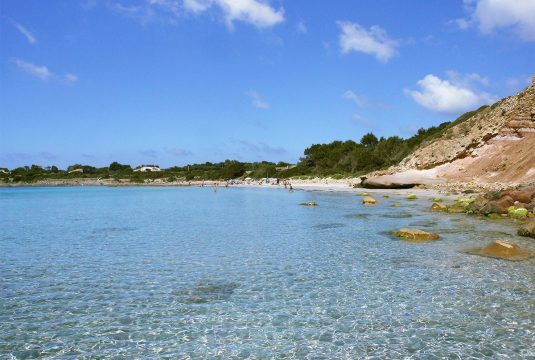 Last, but not least, La Caletta beach welcomes you with a long and large strip of grainy sand and water whose color varies between the hues of aqua green and turquoise. 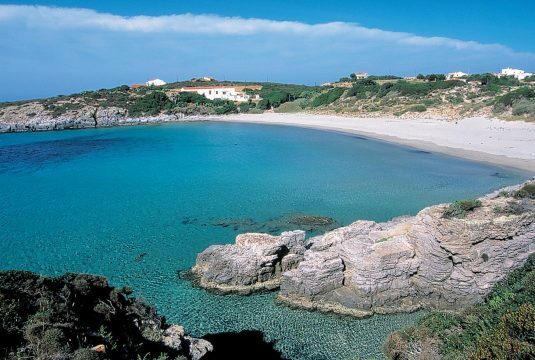 This beach, located on the north-western coast, is protected from Scirocco, the wind blowing from South-East. On the other hand, when the Mistral wind is blowing, La Caletta is the best place to surf. In any case, you cannot miss the beautiful sunset that every evening frames the beach that you can enjoy while sipping your aperitif and bidding farewell to the sun. This beach is suitable both for families and younger people. The beach has kayak and SUP board rentals, a bar renting chairs and umbrellas. The parking area is a few meters from the beach, which is accessible also for people with disabilities thanks to a special runway. In the area close to downtown Carloforte where a salt extraction site used to be, you can take a walk on a path called “The Route of Salt”. 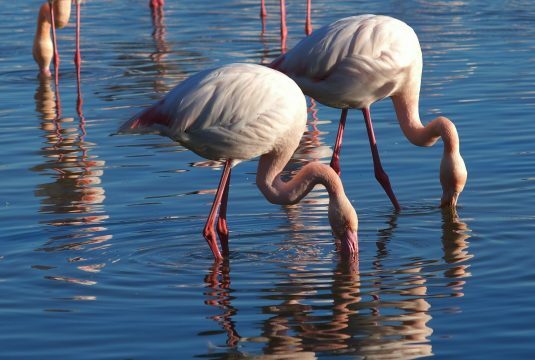 While strolling along this itinerary, you can enjoy the scenery featuring the old extraction site, the canal through which salt used to be carried and where boats are still docked, and wonderful pink flamingos, which have found their ideal habitat in the ponds resulting from the abandoned extraction pits. This itinerary can get very crowded, especially during summer when jogger flock to the area for their training. 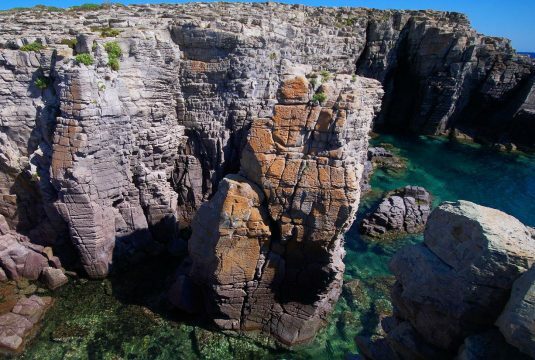 Capo Sandalo, situated on the western tip of the island of San Pietro, is an extraordinary cliff overlooking the Mediterranean Sea. 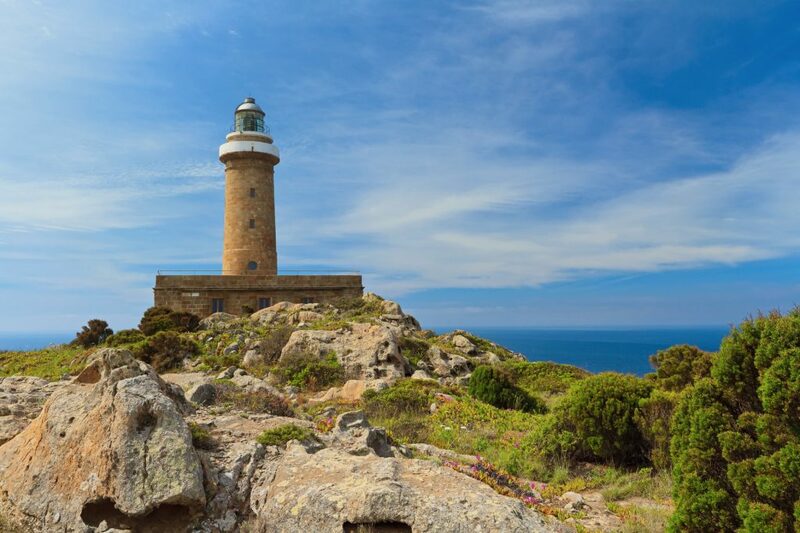 Here stands the lighthouse of the same name, built in 1864 with blocks of stone carved with a chisel and constructed in a cylindrical tower that supports an optical rotating lens with a focal length of 700 mm. The lighthouse emits a group of four white flashes every 20 seconds; it has a light range of 34 miles and a geographical range of 24 miles. Since 1984 it has the function of a beacon and is equipped with 4 apartments for the lighthouse keepers. 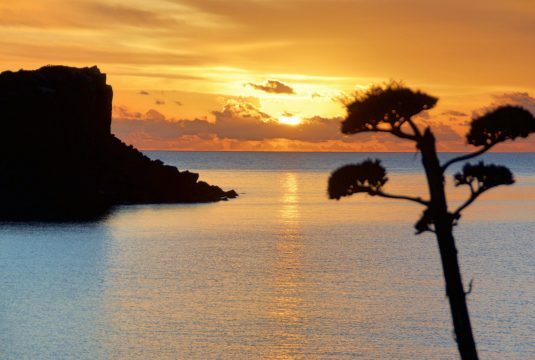 The summit of the Lighthouse offers breathtaking views and is reachable walking all the 124 steps to the top. The road passes the picturesque bay of Cala Fico and ends in a large square, the Belvedere of Capo Sandalo that, besides the lighthouse, offers a complete view on the large bay of the Becco, and on the islet del Corno (of the horn) and the open sea. Perfect for lovers of sunsets over the sea, the Belvedere is one of the favorite places by future couples to celebrate an outdoor wedding. The Tonnara is the set of specially shaped trap nets that are used for tuna fishing; with the same name we specify in Italy, by extension, the place where it is used in practice. After completing the preparations, which commit the entire month of April, in May traps are lowered, that are arranged in the water. 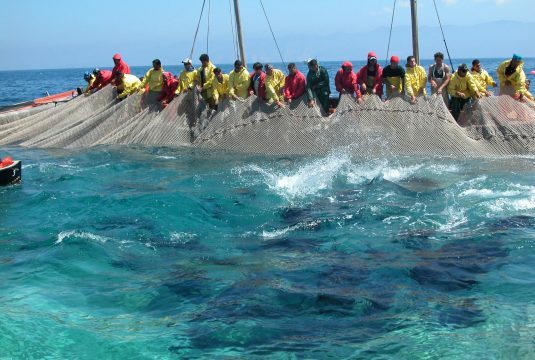 From mid-May to mid-June, the period of the tuna fishing, you can dive, accompanied by specialized guides, in the Tonnare of Carloforte (tuna fishery) where you can admire through the nets, the passage of the tuna shoals, some of the individual fish weighing up to 300 kg, but also swordfish, turtles, large amberjacks and sunfish. A spectacle that can also be seen by snorkeling on the surface. Girotonno is the most important food and wine event held in Carloforte, a unique celebration of international fame. The main protagonist is the bluefin tuna caught locally with the traditional technique of the “Mattanza” (an ancient method of capturing shoals of tuna in large nets) and presented to the public through a tasting itinerary prepared by both local and international chefs from around the world. The Girotonno takes place every year in June. It is an unmissable appointment for international chefs who compete in front of a jury of experts, and for visitors who flock here to witness the extraordinary culinary event, enriched by performances by world famous performers, musicians and beautiful firework displays for the closing ceremony.